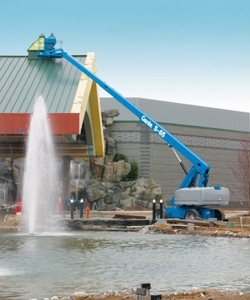 Genie’s Telescopic booms are designed for productivity with the traction and drive speed you need to get around the job site and to the work area. 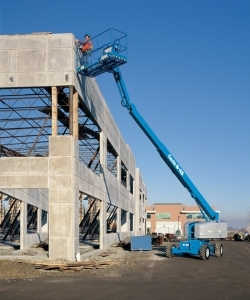 Offering greater horizontal outreach than any other type of access platform, they are ideal for commercial and industrial applications where space is limited or where you may need to position the machine away from the work area. 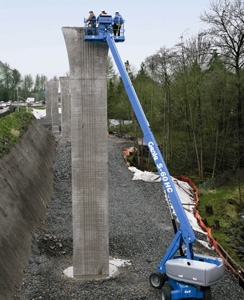 The smallest boom in range with horizontal outreach of 9.65m and rotating self levelling platform for precise positioning. 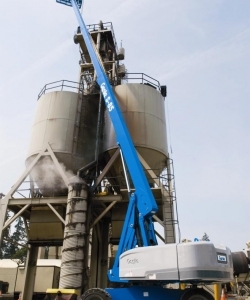 The smallest of the track booms, with a working height of 14.2m, 9.7m horizontal reach. 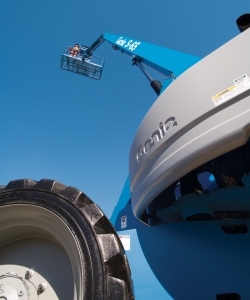 Ideal for working in soft ground conditions and harder surfaces. 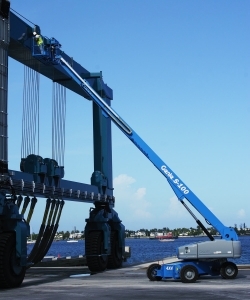 Includes a 1.52m fly jib which increases the maximum horizontal reach to 11.18m and the working height to 15.72m. 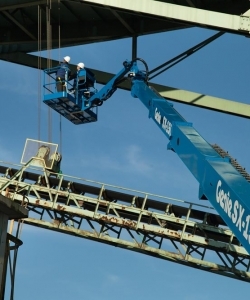 Includes a 1.52m fly jib, increasing maximum horizontal reach to 11.18m and working height to 15.72m. 227Kg lift capacity. 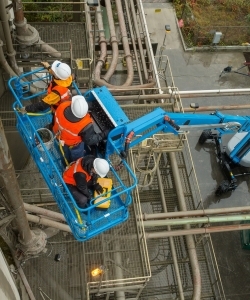 Working height of 20.3m and horizontal reach of 15.48m. Also features a self levelling platform and 360° continuous turntable rotation. 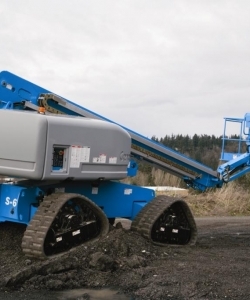 Telescopic boom with working height 20.30m, horizontal reach 15.48m and lift capacity 227Kg. Diesel or Gas/LPG options. 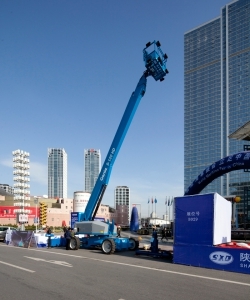 3-person capacity platform and load capacity of 340kg at the maximum horizontal outreach of 15.48m, or 567kg up to 11.87m. 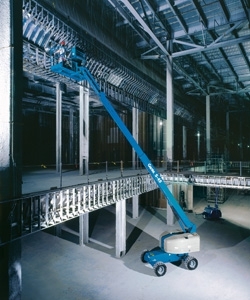 Working height of 21.80m and a horizontal reach of 17.10m. Added benefits include a 1.52m fly jib for exceptional outreach. Telescopic boom with 1.52m fly jib. 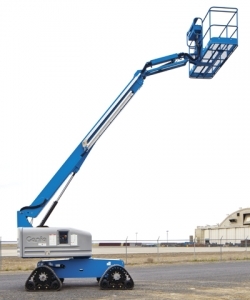 Working height 21.80m, horizontal reach 17.10m and lift capacity 227Kg. Fixed width axles for fast deployment. 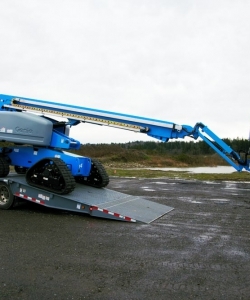 Virtual pivot boom design gives stability and weight reduction, for use in more sensitive terrains. 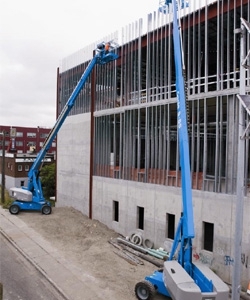 These updated Genie telescopic S-booms retain the productivity features that enhance customers’ ability to get work done quickly. 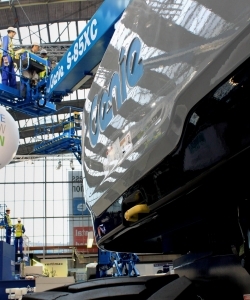 Enhanced with a 1.52m jib to improve final positioning of the platform. Unique virtual pivot boom design. Diesel powered. 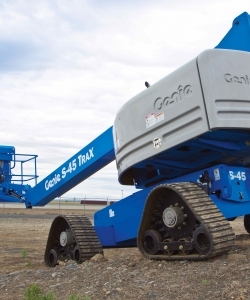 A greater lift capacity of 340kg with a reduced stowed length of 13.00m allowing ease of transportation. 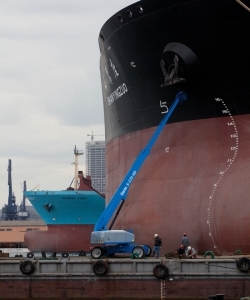 Designed exclusively for shipyard use, where it will be exposed to the harshest of environments. 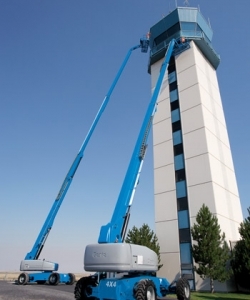 Max working height 32.48m and lifting capacity 340Kg. 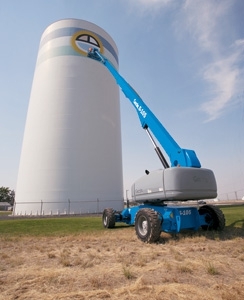 Self propelled XTRA CAPACITY™ boom lifts, engineered to work in applications that require higher access. 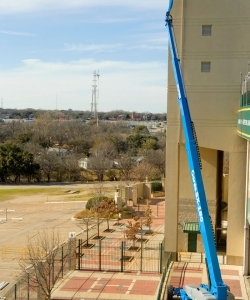 Maximum working height of 34m and horizontal reach of 24.38m. Exceptional manoeuvrability. 4-wheel drive and 4-wheel steer options. Diesel powered. 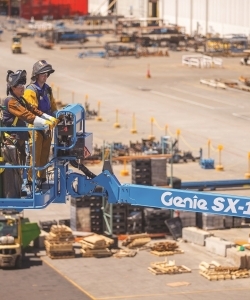 A larger boom lift for shipyard use, with maximum working height 38.58m and lifting capacity 340Kg. 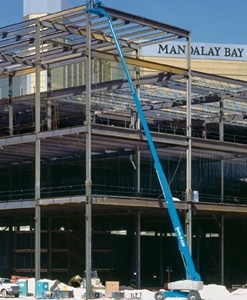 Maximum working height of 40.15m and horizontal reach of 24.38m. Exceptional manoeuvrability. 4-wheel drive and 4-wheel steer options. Diesel powered. Smooth, full envelope with a total of 46.02m maximum platform height, and 24.38m horizontal outreach. Reach full height within 3 minutes. With a vertical reach of 56.86m and horizontal reach of 24.38m, the working envelope is ideal for the most extreme and demanding jobs.